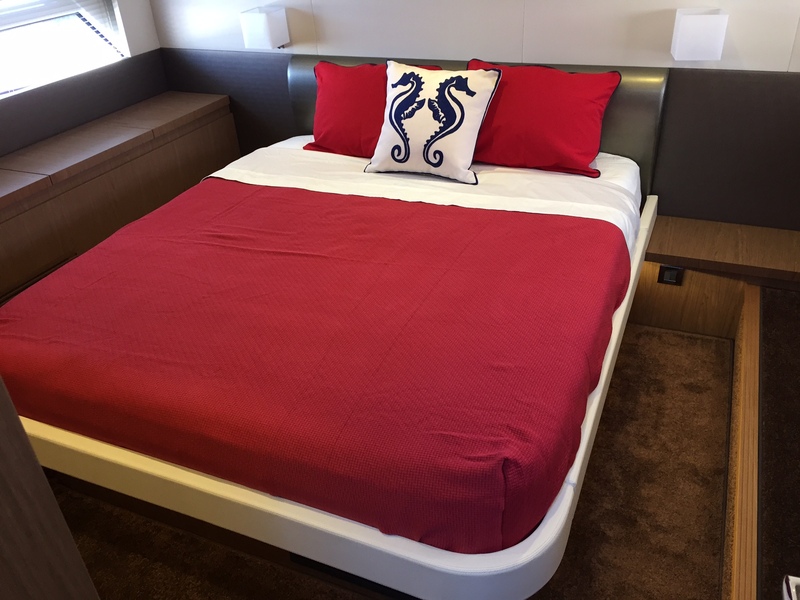 Fun new practical bedding on a beautiful Beneteau GT. Custom boat sheets and bedding made to fit the unique shape and depth of your boat is a big plus when it comes to a restful night of sleep. This custom Matelasse blanket is not only practical but looks great. Marine washable and 100% cotton, a custom blanket can give a tailored look to any boat bed. Our Sferra boat linens make the chore of making the bed less painful. Care label tags and directional tags on the sheets take the guess work out of making the bed and caring for the custom boat sheets. We have the current line up of Beneteau models on file as well as many retired models.